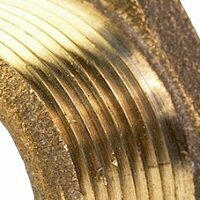 Permatex Anaerobic Flange Sealant - Maintenance Products Inc.
Permatex Anaerobic Flange Sealant is a flexible gasketing material for us on rigid, machined flanges. Withstands temperatures to 300 degrees Fahrenheit. Fills gap of .050" (primed) and eliminates the need for preformed gaskets. Ideal for flanges that move in service. Good for water pumps, transmission cases, covers, o-ring replacements. Elminates the need for many pre-made gaskets. OEM approved.